Virtual phone numbers are much like having a second phone line in your home, but much more versatile. Working from home occasionally has its advantages. 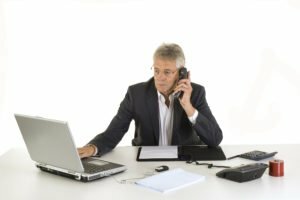 However, once clients and business associates have your home phone or cell phone number, you’re at risk of having business calls interrupt your personal life from here on out. Getting a virtual phone number can help in setting boundaries, but the traditional second phone line will still ring in your home whether you intend to answer it or not. One of the best ways to accommodate your communications needs when working from home is by getting a virtual number that you control. With a virtual business phone number, your clients and business associates can call you anytime, anywhere. However, you control where those calls ring. If you want to be reached at your home or cell phone, you can choose to forward those calls without having to give up your home or mobile phone number. If you do not want to be disturbed at home or on your cell, you can change the call forwarding so those calls ring to your office, answering service, voicemail, etc. Virtual phone numbers are available as toll-free numbers, local numbers, or even international numbers. Consider who needs to call you when ordering a virtual phone number. For example, if it’s mostly local clients residing in your local service area, then a local virtual phone number with the appropriate area code for your community is appropriate. On the other hand, if you’re a regional sales manager for accounts based in another country, an international call forwarding number local to that country would be the way to go. With a virtual phone number, you designate where the number rings at any given time. You can set it up to ring to your main office most days and then set it up to ring to your home or cell phone when you decide to work remotely. Your callers will always dial your virtual phone number, but you control where it rings. Thus, you can receive business calls on your home phone when you’re willing to interact with business callers from home without worrying about these same callers interrupting your family life in the future. For example, if they call your virtual number on a weekend when you’re not working from home and not planning on taking any business calls, their calls can be routed to your voicemail or to your office where they can be assisted by a colleague. Virtual phone numbers are much like having a second phone line in your home, but much more versatile. Our global virtual numbers are available domestically and internationally with competitive rates and no contracts. If you need to be available, but also want to protect your privacy, a virtual phone number is a great way to go.